Archive.org (The internet library) has just made around 2400 vintage games available online to everyone. That too free and all at one place. Now you just need to direct your browser to their website, select the game you want to play, and there you are, no plugins, no installation – everything in the browser itself. The collection includes action, strategy, adventure and other unique genres of game and entertainment software. The games run on an in-browser emulator “DOS-BOX”, though its in beta mode, you may sometimes face issues while playing. 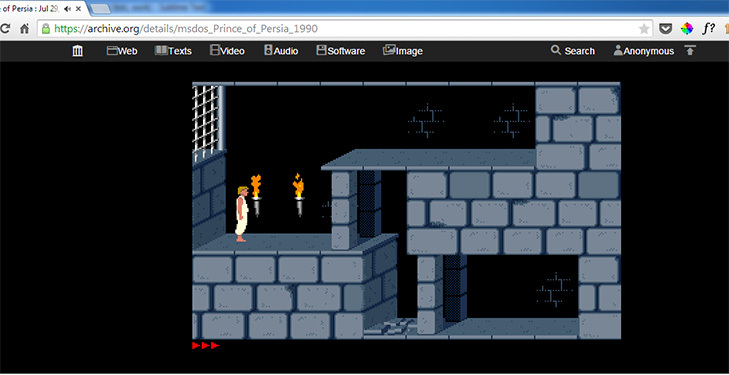 Famous games like Prince of Persia, Super Street Fighter, Lode Runner and many many more are there. Give it try, it really does refreshes the childhood memories. They have also made a list for MS-DOS Showcase – A library of chosen games and programs that represent major parts of the MS-DOS story, which were impressive and fun. Professionally, he is a web-designer/Front end developer. A technology enthusiast, tech guru. Spends every minute of his day with computers or mobiles.